A multi-talented Hula Hoop Performer, Circus Artist, Costume Designer, Dancer, Choreographer and Singer. Hayley Hoopla has seen a surge in performance requests since her new website went live. Her Google ranking has skyrocketed. 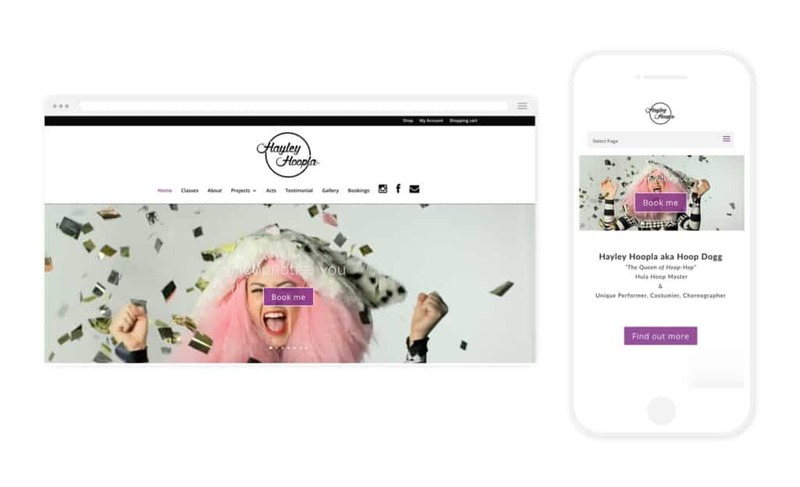 Hayley’s professional site showcases her brilliance, making it easy for clients to book her.